This morning I delivered pieces to Pyramid Gallery in York for their Christmas Collection exhibition opening on 2nd December. It is ages since I’ve been to York, and this little narrow cobbled road (called Stonegate, which I rather like!) looks gorgeous with all its cheery, characterful, brightly lit shops. 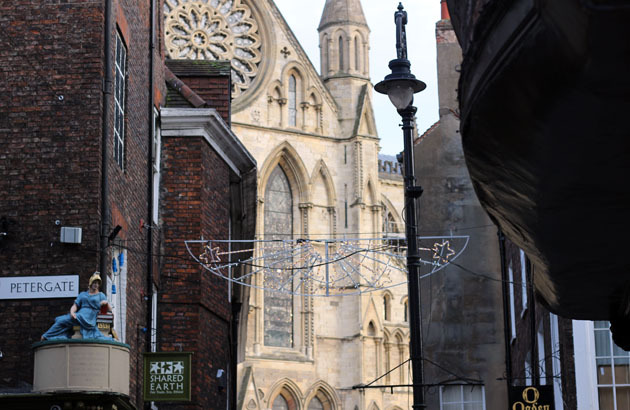 There’s a tempting glimpse of the magnificent York Minster as you look down Stonegate from the gallery. It is literally just a ‘stone’s throw’ away! 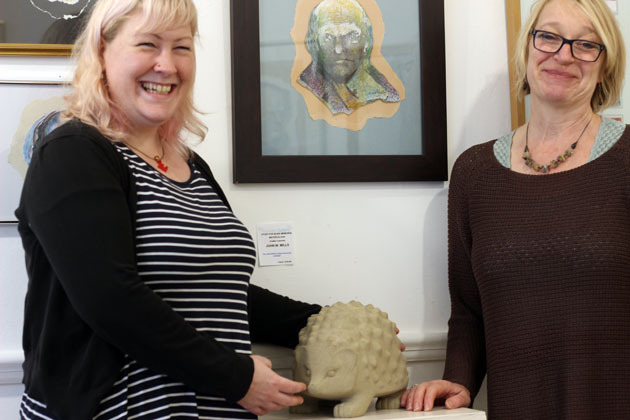 I got such a lovely warm welcome when I arrived at the gallery and soon the pieces were inside. 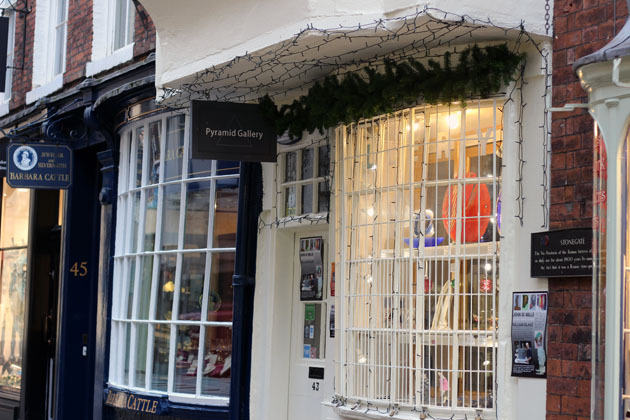 The gallery is tall and narrow and has the most beautiful overhanging window on the first floor, which is also gallery space. While there I had a little look round at some of the other beautiful work. 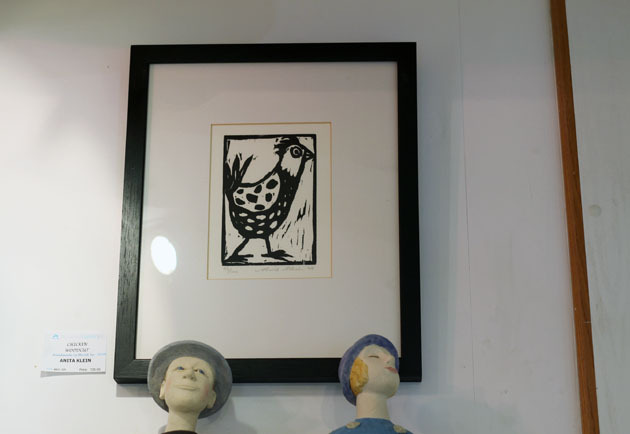 This is a woodcut by Anita Klein, who is showing her prints and paintings in the Christmas Collection exhibition. 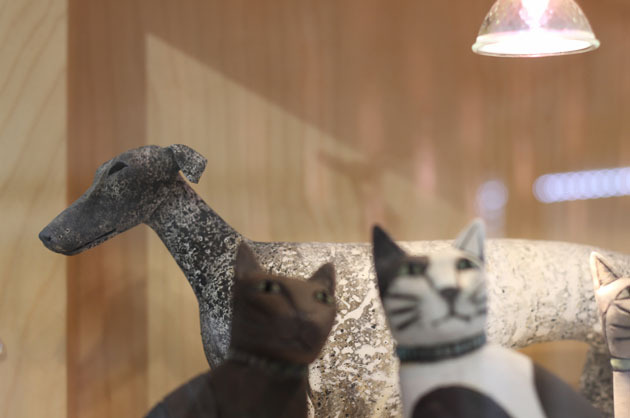 A group of the wondrous handbuilt ceramic sculptures by Anna Noel who is also featured in the exhibition. 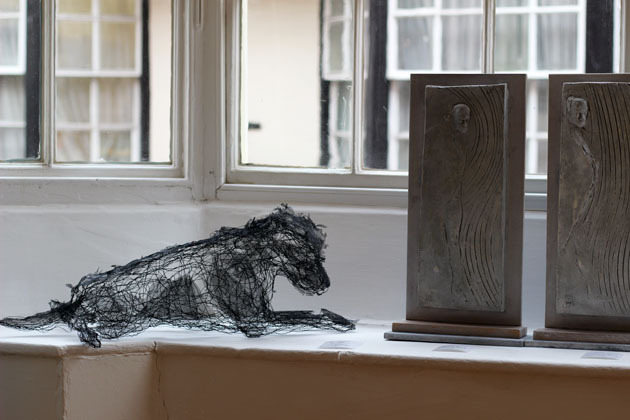 And I had to say hello to this beautiful wire sculpture of a dog lying down by Zoe Robinson. This is such a tiny taste of what there is to see in the gallery, I really need another post to go through it all – perhaps after the opening on Saturday (2nd December – meet artists, and special Pyramid hospitality from 12 noon). 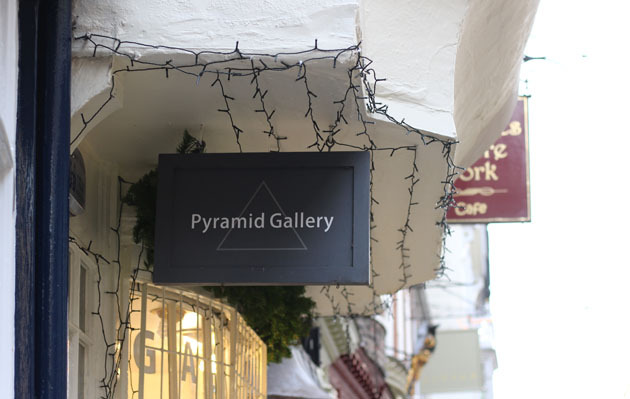 The Pyramid Gallery Christmas Collection Exhibition runs from Saturday 2nd December through to 20th January, 2018.